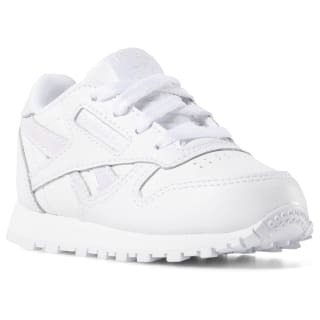 Give her busy feet old-school style. 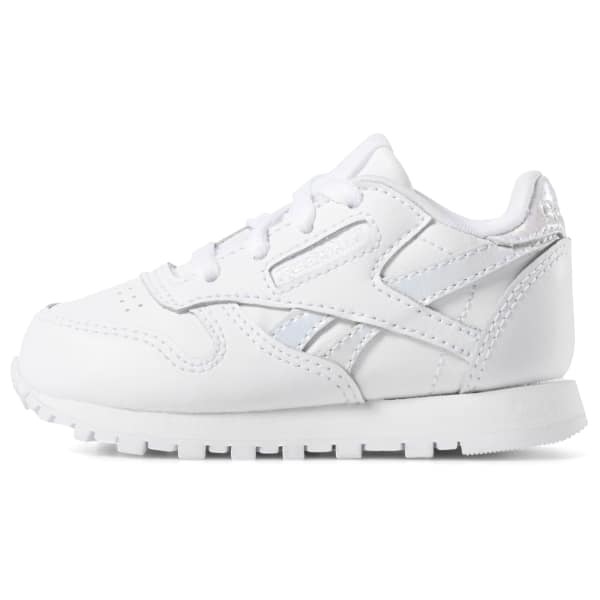 These toddler girls' shoes have a leather upper that keeps them true to the original Classic Leather sneaker. Iridescent details add a touch of flair.